Rob's Blog: Jesus is the Way, the Truth and the Life…But Not Now? Falwell’s tweet reflects a growing theology among some Christian leaders (particularly evangelical leaders). It goes something like this. The way of Jesus... the way of enemy love, non-violence and self-sacrifice is okay in church, but it just won’t cut it in the real world. In the real world, Jesus just isn’t tough enough. In the real world, you need street fighters. Jesus is a fine Messiah if all you want to do is get to heaven, but if you want to make a difference in Washington, you’ll need another Messiah. You’ll need a Messiah that puts his or her enemies on a cross, not one that dies on a cross for his enemies. Jesus is the way, the truth and the life…but not now. I don’t think we can overstate how destructive this brand of political activism has become in our world. 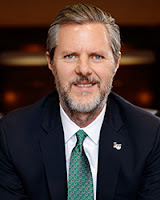 I’m sure it’s not their intention, but politicians and preachers, like Falwell, who have bought into it are proclaiming to the world that Jesus is going to be Lord someday but he’s not Lord now. Right now, we have to fight fire with fire, hate with hate, violence with more violence, political ugliness with even more political ugliness. I’m sure that Jerry Falwell, and other religious leaders, have the best intentions for their political activism. I’m sure they choose a street fighting Messiah hoping that he or she will bring peace. But I think our politicians and preachers need to be reminded that Jesus really is the way, the truth and the life…right now.